In 2001, before Elon Musk had founded Tesla and SpaceX, he was one of the largest stakeholders in PayPal. The company hadn’t gone public yet, but Musk was already a hundred-millionaire on paper, and he acted like one. In his new biography of Musk, Ashlee Vance details the tech magnate’s first (failed) attempt to send something to Mars. That year, Musk attended a dinner held by the Mars Society — whose stated goal as the colonization of the red planet — dropped a $5,000 donation, and began establishing a network of space scientists he could consult on the question of space exploration. 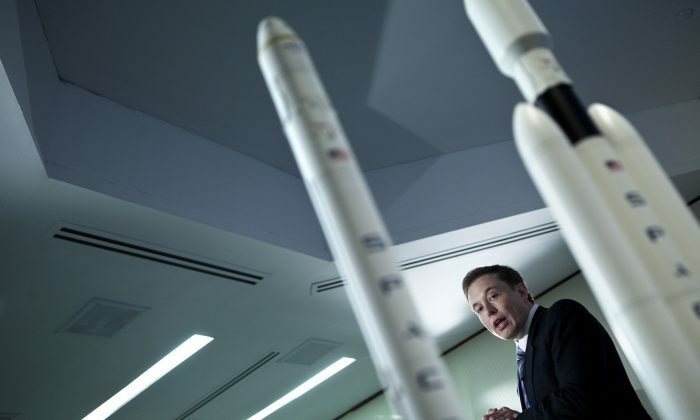 Initially, Musk had no plans of founding a rocket company: he wanted to quickly reignite the public’s moribund interest in space exploration in an explosive PR coup. Inspired by a story about researchers who had built a center in the Arctic circle that mimics the harsh climates of Mars, Musk wanted to buy a few rockets on the cheap and hatch a miniature greenhouse on the red planet. The project, called “Mars Oasis,” had been allocated a budget between 20 and 30 million dollars by Musk, and would involve sending a robotic greenhouse to Mars. Once the chamber landed on Mars, it would rake in the planet’s regolith soil for the plants to grow in. Musk wanted the greenhouse to have a video feedback to earth and he would hand out greenhouse kits to students. The students could then observe how the plants grew twice as fast on Mars, whose gravitational pull is around a third of Earth’s. The challenges were numerous; regolith was lethal to plants; existing rockets couldn’t keep the plants warm enough to survive the journey; and the projected cost of the launch exceeded the whole budget. “In my mind, you needed two hundred million dollars to do it right,” said David Bearden, one of the scientists in Musk’s inner circle at the time. Always the bargain-hunter, Musk flew to Russia to buy ballistic missiles on the cheap. In February of 2002, He met with representatives from NPO Lavochkin and Kosmotras, but negotiations turned sour when the Russians held firm on their price of $8 million for each missile, two times what Musk was offering. Afterwards, Musk decided that he would just have to build the rockets himself. The autodidact had been reading aerospace textbooks and realized that there was a gap in the industry for medium-size rockets that delivered small payloads in orbit. And that’s exactly what he did. Today, SpaceX gets much of its business from building rockets that power the spacecrafts that resupply the International Space Station. Thirteen years since, Musk’s dreams for Mars hasn’t diminished in the least. He still talks frequently about building massive colonies on the red planet, and eventually terraforming its surface to make it a permanent environment for humans. Elon Musk, the founder and CEO of SpaceX and Tesla, has been credited with almost single-handedly reviving the public's interest in interstellar travel and space colonization.